A great thing about having creative friends is that they do clever things which inspire me to also do clever things (a.k.a steal their ideas.) Creativity is infectious, I reckon. It is testament to Emma’s op-shopping skills that she found the tapestries she needed in three years when you consider they had to be a) completed tapestries b) aesthetically attractive to her c) in reasonable condition. I think she did very well to find her materials so quickly! That girl has some mad op-shopping skills. Then, she worked out how to construct the rug by plunging in and having a go – because she’s clever -AND then was kind enough to tell other people how to on her blog! 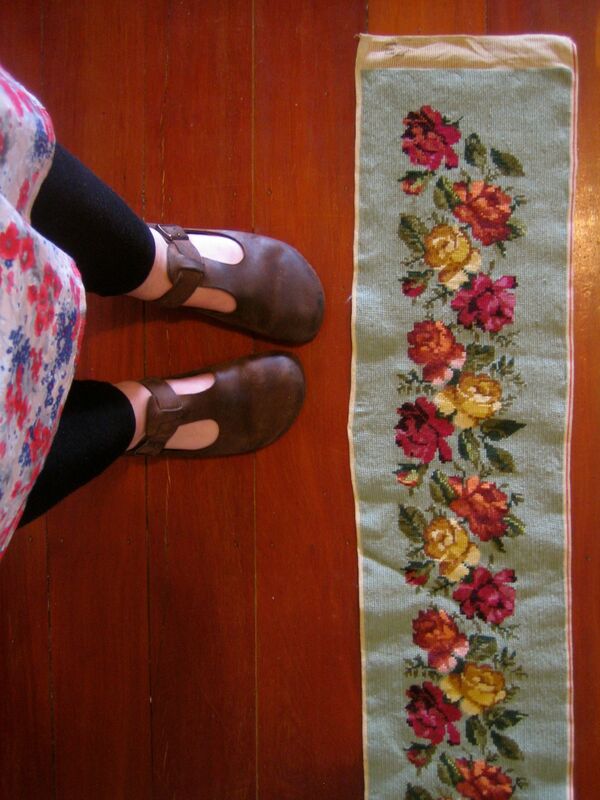 I very much like both her original inspiration rug, and her own rug. In the back of my mind I thought ‘I’d like to make one of those, but mine will be all florals’. This made finding suitable tapestries a little bit harder, but recently I found THIS! 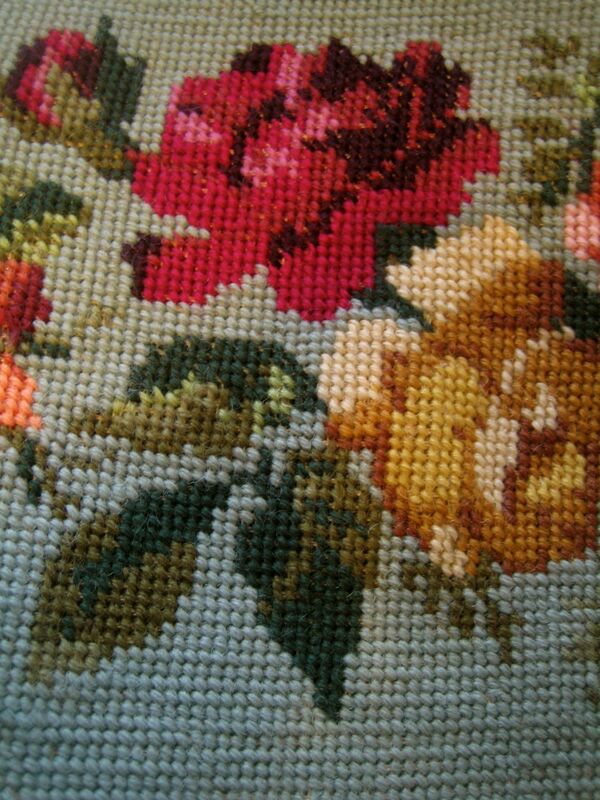 A beautiful rose tapestry which is really long, so will make a great edge piece for a rug. WOOT! My tapestry rug journey begins. I’ll keep you posted about the rug’s progress. That tapestry is incredible! Let me know when you start sewing because I have some tips for improvements.